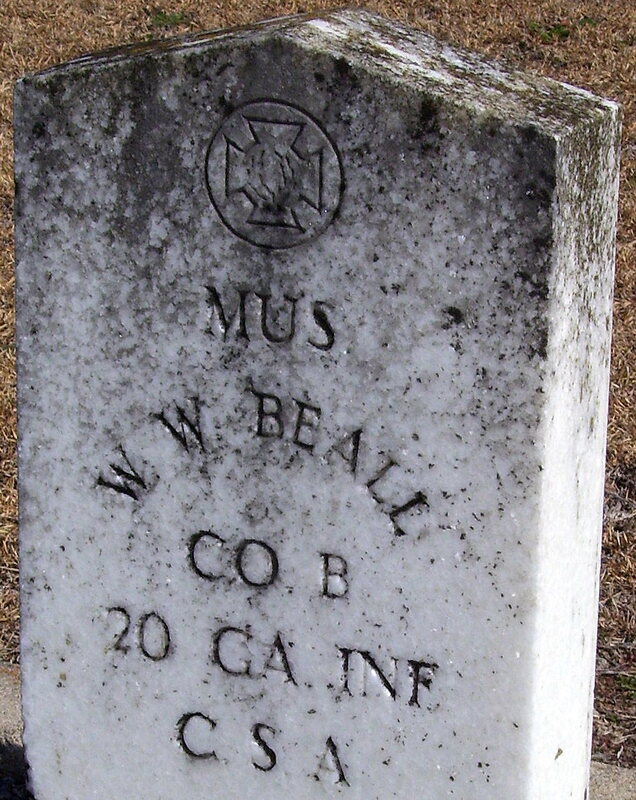 I was caught off guard when I first saw William Beall's Confederate States Army tombstone at Evergreen Cemetery in Fitzgerald, Ben Hill County, Georgia. I do believe that is the first MUS I have ever seen. It took me far longer than it should have to realize that MUS stood for Musician. 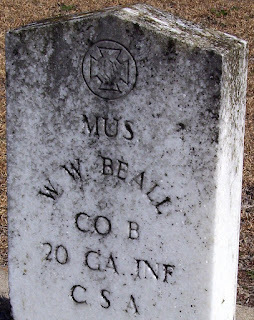 Another stone for Mr. Beall states he was born 25 December 1849. He must have enlisted in the CSA about the age of 12-15 years. 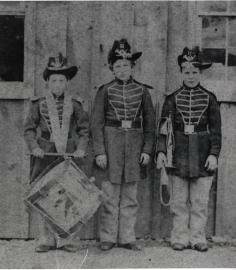 Those boys that were "too young to fight" were often given the rank and position of Musician. 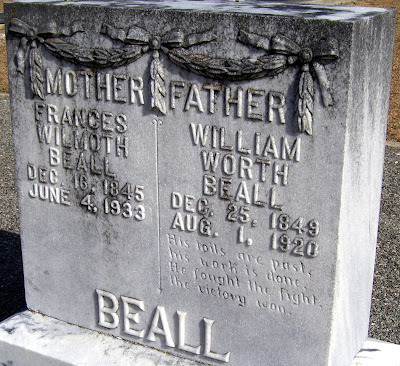 That would mean Mr. Beall was likely a fifer, drummer, or bugler. Based on what I've read, we can possibly narrow the role of Mr. Beall to a fifer or drummer. Supposedly the bugle is more associated with cavalry or artillery, while the fife and drum connect more with infantry. Furthermore, the drum was much more common than the fife. A bugler could be found attached to a commander in battle, giving orders to the soldiers since his instrument could be heard above the musket fire and noise of war. The fife and drum were difficult to hear in battle however, and since many of these musicians were under age, they were often sent to the rear for ambulance duty during the times of direct fighting. The young musicians also provided communication for regulating camp life. A quote attributed to historian Bruce Catton: "Even the drummer boys were practicing, working at mysteries known as the double and single drag, learning all of the irregular and syncopated beats that carried orders to marching men; a crack regiment, it seemed, was one that could maneuver all over a parade ground without spoken orders, the commands being transmitted entirely by the drums." According to William's death certificate, he was a son of Elias H. Beall.